This essay examines the cultural and critical reception of Peter Weir’s Picnic at Hanging Rock (1975) over the last thirty years. The first part of the analysis draws upon O’Regan’s formations of value (111) together with the cultural and film making policies of the 1970s and 1980s to illustrate how these concerns have informed critical perceptions of Picnic at Hanging Rock. The second part examines new ways of seeing this film. By evaluating a number of critical and cultural sources, this essay explains how Picnic at Hanging Rock is now elevated to cult status in a way that mythologises Australian national identity. 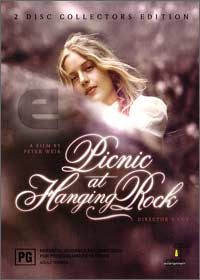 Finally, it highlights Picnic at Hanging Rock's uniqueness as an example of Lotman’s “fifth stage” (quoted in O’Regan 222) in cultural transfer. In terms of O’Regan’s formations of value, there is a trend in 1970s critical reception of Picnic at Hanging Rock to reconfigure Australian film as a credible cinema and emerging artistic elite. This follows from a government driven desire to compete with dominant Hollywood mainstream by either devaluing US productions in terms of their popularity and lack of prestige or moving away from classical US narratives (O’Regan 115). A fine example of this formation of value is provided in McGuiness’ review of Picnic at Hanging Rock. Here, the emphasis is on aesthetics and cinematic sensitivity as a testament to the film’s quality (188). By comparing Weir to Swedish director Bo Widerberg, McGuinness implies that Australian film is capable of reaching European standards. This valorisation positions European cinema as an artistic and prestigious benchmark to aspire to. Meanwhile, it downplays the rival Hollywood cinema. Through repeated focus on the mysterious aspects of the film, McGuinness also highlights the elusive quality of the narrative which is a further departure from US cinematic values. By stressing Picnic at Hanging Rock's favourable reception in national audiences, (189) he evokes the discernment and taste that must evidently exist in Australian audiences and so too, within Australian culture. Ian Hunter’s 1970 critical analysis is informed by a yet another formation of value. Hunter’s review is further underpinned by an ideological malaise and a refusal to see the film’s relevance with national reality. His antagonism reflects a national desire to define an Australian identity independent from British influence. Hunter reads Picnic at Hanging Rock as tying Australia to Victorian, class-based and religious ideologies whereby only the palest, most beautiful corseted females like Miranda, can gain entry into another world and where the “worship of beauty and nature in this scheme of things has its roots in the love of suffering and death” (Hunter 192). According to Hunter, perceiving the beauty of Hanging Rock equates to a love of death by sacrifice which is painfully akin to concepts of religious suffering and rigid Victorian discipline. Hunter also qualifies Picnic at Hanging Rock as pro-British and having “nothing to do with this country” (191). His formation of value effectively devalues national cinema because of its “regressive and conservative values” (O’Regan 131). 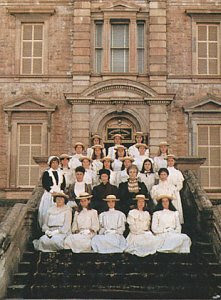 In the 1980s, the desire to qualify national cinema as consisting of worthy and recognisable ‘types’ of films that could directly compete with Hollywood genre films, led several critics to retrospectively ascribe a generic interpretation to Picnic at Hanging Rock. Even today the redefinition of Australian films in terms of their generic conventions is seen as advantageous (Moran & Vieth 2) and improves insight into the richness of Australian cinema. 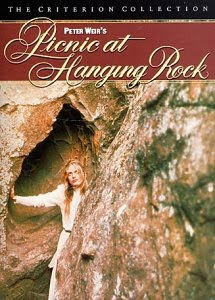 For example, McFarlane interprets Picnic at Hanging Rock as falling into the Horror genre. He associates the beauty of Hanging Rock with the “lurking horror” (62) of the girl’s unexplained disappearance. His conception of landscape as beautiful yet treacherous echoes Gibson’s argument (48) that Australian films have used mise-en-scene to give meaning to the landscape and that this meaning is usually tainted by European fear towards the indomitable Australian land. A recent analysis of cinematic representations of missing children also lends a horror quality to Picnic at Hanging Rock if only to explain the film as a psychological apparatus that allowed Australians to replay and mourn the unsettling reality of their children’s disappearance in the bush (Wilson 8). Wilson states that films which explore these disturbing issues often “angelise” (10) their missing subjects. Similarly, Miranda is compared to a Boticelli angel by her teacher, Dianne de Poitiers. The film’s lack of resolution is a “mode of respect” (Wilson 4) when dealing with a difficult subject as emotionally horrifying as the death of innocents who have gone missing. The last fifteen years, has seen more documentary film making and audience interest for docudramas that merge fact with fiction. 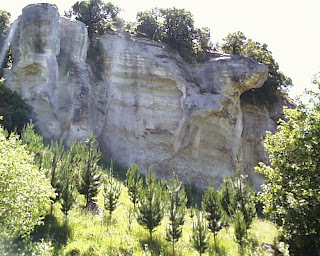 It follows that Picnic at Hanging Rock has been culturally received as a mystery rather than as a period film (Ebert np). Underlying this cultural reception is a desire for audiences to become more involved in the text and to engage with a speculated truth. The late 1990s, saw a rising cultural focus on the possible true event behind the story. The film was increasingly envisaged as a fictionalised dramatisation of some fateful real event. No longer limiting itself to the open ended narrative which offers no solution regarding the college girls’ disappearance, the new mystery of Picnic at Hanging Rock now resides in resolving whether or not its narrative is derived from fact. This is illustrated by the paraphernalia accompanying the film’s 2001 limited edition DVD. Production notes accompanying the DVD, highlighted a possible hidden truth behind the story. During shooting, producer Patricia Lovell is said to have reported “We are having trouble with time here. All our watches seem to be playing up. Mine stopped at 6.00 p.m” (“Picnic at Hanging Rock”). This lends credence to the uncanny magnetic effect that the Hanging Rock site has on the character’s watches or sense of time and suggests a factual background to the story. With Picnic at Hanging Rock alluding to mystery, national identity was mythologised to its own advantage. The film’s limited edition DVD package was launched by none other than the film’s elusive Miranda, actress Anne Lambert. In a well scripted interview programmed by ABC Television (Murphy np), Anne Lambert alludes to Joan Lindsay’s strange behaviour during shooting, whereby the author proceeded to hug Anne and call her “Miranda”. 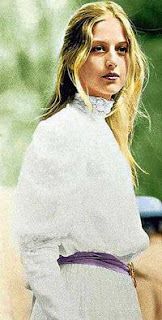 There is no doubt that recent trends in cultural reception of Picnic at Hanging Rock welcome speculation as to whether Miranda existed and that the author may have known her. This reception serves a cultural purpose because it gives rise to a mystical Australianness replete with literature secrets and natural mysteries. Through this paradigm, it no longer matters that modern Australian circumstance remains elusive and continues to evade cinematic capture since that is after all, the very nature of the mysterious. 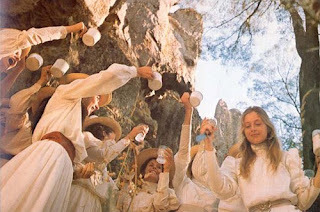 While Picnic at Hanging Rock's enigma titillated national audiences, the film became seen as a cult film both locally and internationally (Denis np; Le Vern 1). This is due in some part to the mythologising of the Australian landscape. The Hanging Rock location became associated with eerie happenings arousing both curiosity and wonder while inciting tourist visits (Murphy np). One French movie reviewer goes as far as claiming “it is no coincidence that the disappearance takes place on an aboriginal site: this only amplifies the magic of the events; with those who disappear becoming virgins who are sacrificed to ancient gods 1” (Le Vern 3). These terms enhance Picnic at Hanging Rock as an exotic “Other” to be consumed by those eager to discover the legends and secrets of a remote land. But it is not only through myth that the film has gained world repute. 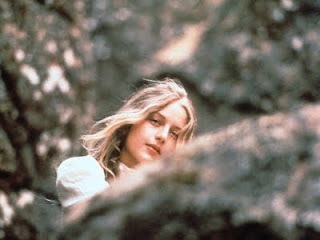 The international success of director Peter Weir means that Picnic at Hanging Rock is often written about as part of an auteur’s trilogy of work along with The Cars that Ate Paris and The Last Wave. Rayner qualifies Weir’s work as evincing “a stylistic unity in which European and American concepts of auteurism emerge” (12). Weir has earned his mark of auteurship and his films, including Picnic at Hanging Rock are internationally recognised as works of art (Rayner 12). If there is an Australian film that alludes to Australian cinema as a “disseminator of culture” (quoted in O’Regan 222), it would be Picnic at Hanging Rock. The film has been recognised as a possible inspiration or a model that can inspire Hollywood film. Several film reviews (Le Vern 1; Ebert np; “Death and the Maidens” np) dealing with Sofia Coppola’s The Virgin Suicides (1999) favourably allude to Picnic at Hanging Rock either as Coppola’s inspiration or as an audience point of reference. Both films are seen as dealing with a group of young girls' reaction to a repressive institution and their eventual death. Le Vern states that “those who have appreciated the melancholy of Sofia Coppola’s sugary requiem must imperatively discover its ancestor of 25 years” 2. Accordingly, The Virgin Suicides becomes an imitative cinema based on an Australian film. Australian cinema is elevated as an originator of ideas and a forerunner of aesthetic value from which a Hollywood film can be modelled. This is a reversal of Lotman’s fourth stage because it is the Australian film, Picnic at Hanging Rock that becomes a model to be copied and extended elsewhere (O’Regan 221). After thirty years, Picnic at Hanging Rock has evolved from a second stage film concerned with looking into the past (O’Regan 19) to be recognised as an original source of world culture, or fifth stage cinema. 1Ce n'est pas hasardeux si la disparition a lieu sur un site aborigène: cela ne fait qu'amplifier la magie des évènements; les disparues devenant des vierges que l'on sacrifie aux anciens dieux. 2Ceux qui ont apprécié la mélancolie du requiem doucereux de Sofia Coppola doivent impérativement découvrir son ancêtre de vingt-cinq ans. Gibson, Ross. “Camera Natura: Landscape in Australian Feature Film.” Framework 22.3 (1983): 47-51. Hunter, Ian. “Corsetway to Heaven: Looking Back to Hanging Rock: 1976”. An Australian Film Reader. Eds. Albert Moran and Tom O’Regan. Paddington, NSW: Currency Press, 1985. 190-93. McFarlane, Brian. “Horror and Suspense”. The New Australian Cinema. Ed. Murray, Scott. West Melbourne, VIC: Nelson, 1980. McGuinness, P. P. “Peter Weir’s Hauntingly Beautiful Film Makes the Film World Sit Up:1975”. An Australian Film Reader. Eds. Albert Moran and Tom O’Regan. Paddington, NSW: Currency Press, 1985. 188-89. Moran, Albert and Vieth, Errol. Film in Australia: An Introduction. New York: Cambridge University Press, 2006. O’Regan, Tom. Australian National Cinema. London and New York: Routledge, 1996. Picnic at Hanging Rock. Dir. Peter Weir. Picnic Productions, 1975. Rayner, Jonathan. The Films of Peter Weir. London and New York: Cassell, 1998. Rayner, Jonathan. Contemporary Australian Cinema. Manchester and New York: Manchester University Press, 2000. The Virgin Suicides. Dir. Sofia Coppola. Paramount Home Videos, 1999. Tudor, Andrew. “The Aussic Picture Show”. An Australian Film Reader. Eds Albert Moran and Tom O’Regan. Paddington, 1985. 211-14. Wilson, Emma. Cinema’s Missing Children. London and New York: Wallflower Press, 2003. I wrote this research article in 2008 as part of an Australian Cinema course.